A lot of businesses don’t pay enough attention to managing their suppliers. They constantly manage their customers but tend to forget how important the suppliers are to their business. Supplier relationship management is also critical. It’s not just a case of paying them what’s due when its due. Actively building relationships with suppliers will help your business in the long-term and can help you with costs, quality and more importantly when you have problems with cash flows as inevitably a lot of businesses do. Suppliers can give you special terms, improve the quality of their product or hinder your business by not supplying on time . They also have the power to put your business into liquidation if you don’t pay their bills. If you have cashflow problems, however, they can also sit down and agree to accept payment terms over a longer period. Having a good relationship with your key suppliers may help you stay in business during difficult times and may also enhance your offering to your customers. There are 3 key tips I would advise businesses to do in managing their relationships with suppliers. This will help you focus on pricing and quality and also help negotiate better payment terms. If your business is worth a lot to them, they will always try to help with special terms for you. Usually a supplier will try to make this relationship ‘exclusive’, meaning you cannot go to other suppliers for the term of the contract. If you don’t want that, ensure its not exclusive or if’ you’re happy with it, negotiate additional benefits for giving them ‘exclusivity’. Always ensure you review the product or service regularly to ensure the quality or the special benefits you may have negotiated haven’t disappeared. Don’t be afraid to re-negotiate contract terms. If you’re managing your cash flows effectively, don’t mess about with your supplier payments and pay them when their bills are due. In any event, it’s better to pay all the smaller suppliers on their agreed terms so that you don’t have the hassle of constant telephone calls and emails chasing up for payment. It maybe that you have large customers taking their time to pay you. In that case, make sure you have agreed longer payment terms with your key suppliers so that you pay them once you receive payment from your larger customers. If you have cashflow issues, ensure that you call the key suppliers to gain some more time before you pay their bills. It maybe that they negotiate part payments to keep their cash flows on track but the best policy is to keep them informed all the time. Monitor the Creditor days (much like the debtor days) on a monthly basis. This is calculated by dividing the Trade Creditors outstanding by the Total Purchases for the last 12 months and multiplying that by 365. If your creditor days are far below your debtor days, you have a cashflow problem, i.e. you’re paying your bills faster than you receive payment from your customers. Ensure that its the reverse! Ensure that you meet regularly with your key suppliers, visit their premises and brief them on your progress and what you’re trying to achieve. Help them with referrals and references where you can. 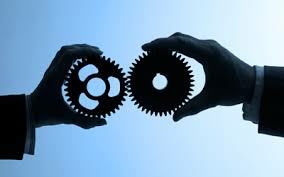 After all its the partnership between you that provides the ultimate product or service to your customers. Suppliers will always help out when you have a good relationship with them. Remember that suppliers can help you even when you’re not in trouble but they can help especially when you are in trouble!